Peanut allergy is the most common serious food allergy in children. About 3 in every 100 infants are allergic to peanuts. For reasons that are largely unknown, it appears that the prevalence of peanut allergy is rising in developed countries such as Australia. In most people, a peanut allergy develops in childhood and persists throughout life, but in about 20 per cent of cases, the allergy resolves over time. Children who develop anaphylaxis (a sudden, severe allergic reaction) on exposure to peanuts are less likely to grow out of it. The most common type of reaction in allergic children exposed to peanuts is hives (also called urticaria). Hives are raised, swollen areas on the skin (weals or welts) that are usually itchy. They vary in size and usually go away after several hours. Symptoms can get better or worse as children get older. Despite their name, peanuts are actually legumes, and very occasionally a person with a peanut allergy can also be allergic to other legumes such as soy, lentils, chickpeas and peas. Very rarely, children can develop anaphylaxis on exposure to peanuts. Anaphylaxis is a life-threatening condition that usually involves sudden difficulty in breathing, swelling of the tongue, and a drop in blood pressure that can lead to collapse and loss of consciousness. Fortunately, life-threatening peanut allergic reactions are rare. have a sibling (brother or sister) with a food allergy. Your child’s risk of developing allergic conditions is increased if other family members have allergies or allergic conditions. To diagnose peanut allergy, your doctor will ask about your child's symptoms and how they relate to what your child has eaten, and perform a physical examination. To confirm a peanut allergy your doctor will recommend tests including skin prick tests or blood tests. Your doctor may refer you to an allergy specialist, or immunologist, for testing. Skin prick testing is usually done on the forearm, or sometimes on the back, and involves pricking the skin to let small amounts of allergens (substances that can trigger allergic reactions) under the skin’s surface. The test is positive if a small, itchy lump surrounded by a red area (wheal and flare reaction) appears on the skin within 15 to 20 minutes. Most people, including young children, tolerate the test well. The test is done under medical supervision, so that if there is a more generalised reaction, it can be treated straight away. A blood test called an allergen specific IgE can be done to test for allergies. This test used to be called RAST blood test, and involves checking for antibodies against specific allergens such as peanuts. Blood tests are usually only done when skin prick testing is not possible. 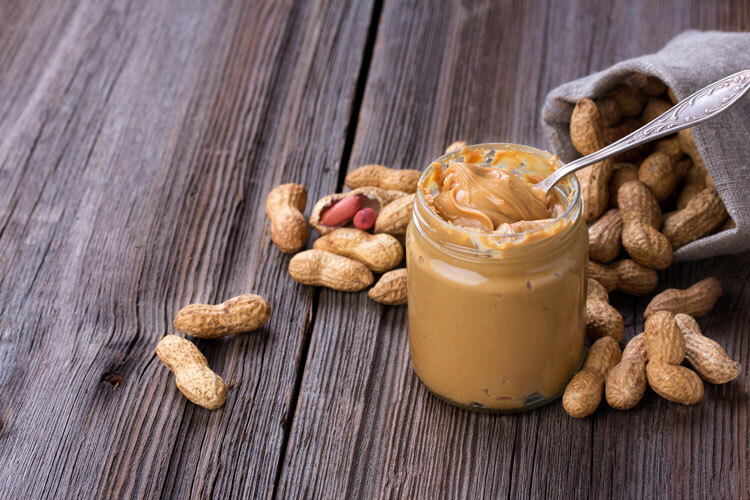 It is important to note that not everyone who tests positive to peanut allergy on a skin prick test or blood test will develop a reaction on eating peanuts, therefore a history of symptoms is necessary for diagnosis. If you were allergic to peanuts as a child, you can have a challenge test to determine whether you are still allergic. A challenge test involves being given a small amount of peanuts under medical supervision. If you have had severe reactions in the past, your test will need to be performed in hospital, where there are appropriate resuscitation facilities at hand. There is no cure for peanut allergy. The only treatment is to avoid exposure to peanuts and products containing peanuts, such as peanut butter and satay sauces. All food labels should be checked to see whether products contain peanuts or traces of peanuts. Children should be reminded not to share or swap food with other children. There can be cross-contamination in mixed nuts, so it is generally recommended that people with a peanut allergy avoid all nuts. Some doctors also recommend avoiding seeds (such as sesame, sunflower and poppy seeds). Children who are also allergic to other legumes (such as soy, lentils, chickpeas and peas) should of course avoid these as well. If your child has a peanut allergy, it’s important to make sure that anyone looking after them is aware of the allergy. Your child’s school, preschool or child care centre should develop a management plan with you and your child. Eating out needs planning. Let the staff at restaurants know about your child’s food allergy. Phoning ahead to restaurants or other places you are visiting to check that there are nut-free food options is a good idea. Always check when you order food that there are no nuts or products containing nuts or nut oils, and that the risk of cross-contamination in the kitchen is low. Accidental exposure to peanuts can occur, even in people who are very careful about avoiding exposure. It’s important to have an action plan for allergic reactions, and if you are at risk of anaphylaxis, an action plan for anaphlylaxis, so that your child and whoever is looking after them knows what to do in the event of an allergic reaction. Children who have had a severe reaction to peanuts, particularly those who have a history of anaphylaxis, should carry an adrenaline self-injecting device, or auto-injector (e.g. EpiPen Jr, Anapen). The device should be used at the first sign of anaphylaxis to inject a dose of adrenaline into the thigh muscles. It is important that children who are eligible for an adrenaline auto-injector are well instructed on its use and have a written anaphylaxis plan from their doctor. The device and action plan should be carried with your child at all times. There are some things you can do when introducing solid food to your baby’s diet that may help prevent them developing food allergies and other allergic conditions, such as eczema. Introduce solid foods to your baby’s diet at about 4 to 6 months of age (no earlier than this), preferably while breast feeding. There is some evidence that this may protect against the development of allergic conditions. There is some evidence that introducing foods (such as peanuts) that are common triggers for food allergy should not be delayed. More evidence from clinical trials is needed to work out the best times for these foods to be introduced. In babies who already have severe eczema and/or egg allergy, there is good evidence that introducing peanuts before the age of 12 months can reduce the risk of peanut allergy developing. However, it’s important to get advice from your doctor or paediatrician and an allergy specialist before introducing peanuts. Introducing peanuts in these children may need to be done under medical supervision. 1. Australasian Society of Clinical Immunology and Allergy (ASCIA). Peanut, tree nut and seed allergy (updated Jan 2014). http://www.allergy.org.au/patients/food-allergy/peanut-tree-nut-and-seed-allergy (accessed Mar 2016). 2. Royal Children's Hospital Melbourne. Peanut and tree nut allergy (updated Sep 2012). http://www.rch.org.au/kidsinfo/fact_sheets/Peanut_and_tree_nut_allergy/# (accessed Mar 2016). 3. Australasian Society of Clinical Immunology and Allergy (ASCIA). Food allergy (updated Mar 2016). http://www.allergy.org.au/patients/food-allergy/food-allergy (accessed Mar 2016). 4. Australasian Society of Clinical Immunology and Allergy (ASCIA). Guidelines for allergy prevention in infants (updated Mar 2016). http://www.allergy.org.au/health-professionals/papers/allergy-prevention-in-infants (accessed Mar 2016).